You know when something’s been around for 40 years, it’s a big hit. That’s certainly the case with the International Bar-B-Q Festival. It’s coming to Owensboro for its 40th year on May 11 and 12. This year’s festival is packed with events that you’re sure to love. Get the details on some of the best so you don’t miss out. Are you a master of your backyard grill? You know how to make the best ribs and chicken on the block, and you want everyone else to taste your skills. That means you need to enter the Backyard Cookoff. This is where the best backyard grillers in the region come together to showcase their skills. Now, if you’re not a master on the grill, don’t worry. You can still eat samples from the grill masters. If you aren’t going to bring your best recipe, bring your appetite. You’ll also need to take your appetite to the Governor’s Cup. The winner will walk away with the title of Grand Champion. You can visit the barbecue pits and give the various items a taste. Expect some good eating. It wouldn’t be a barbecue festival without arts and crafts. The festival is packed with handmade items that aren’t available anywhere else. Get everything from jewelry to paintings here. Some items are made before the festival, but some crafters and artists make items at the festival. It’s fun to watch them create their works of art. 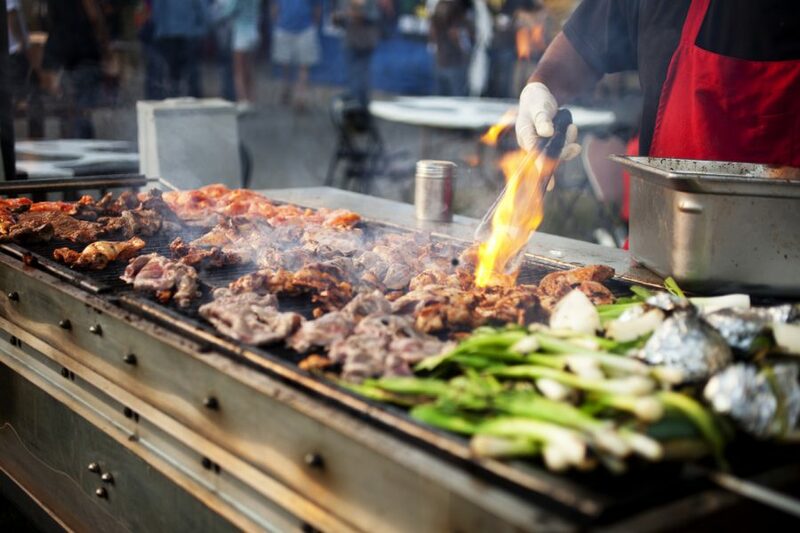 You don’t have to be a barbecue master to win a contest at this festival. Give the keg toss a try to see if you can throw a keg farther than everyone, or try your hand at the bench press and deadlift competition. You can even put your kids in the pie eating contest. Enter as many contests as you can so someone takes home a prize. What if you don’t think you’ll win any of those contests? Well, you can always enter the 5k run/walk. While it’s not technically a contest, you can still try to win it. Plus, it’ll help you burn off some calories before you chow down on all that barbecue. Wow, the barbecue festival knows how to pack in the fun. How are you going to beat it? Well, you just might be able to by getting a new ride from Moore Automotive Team in Owensboro, Kentucky. We have all kinds of vehicles available, so you can pick the one you want for your next road trip. Then, the next big event will be right around the corner.